Facebook kicked off its F8 2018 conference in San Jose on Tuesday by announcing a dating service and privacy improvements, but numerous changes are coming to Messenger, too. 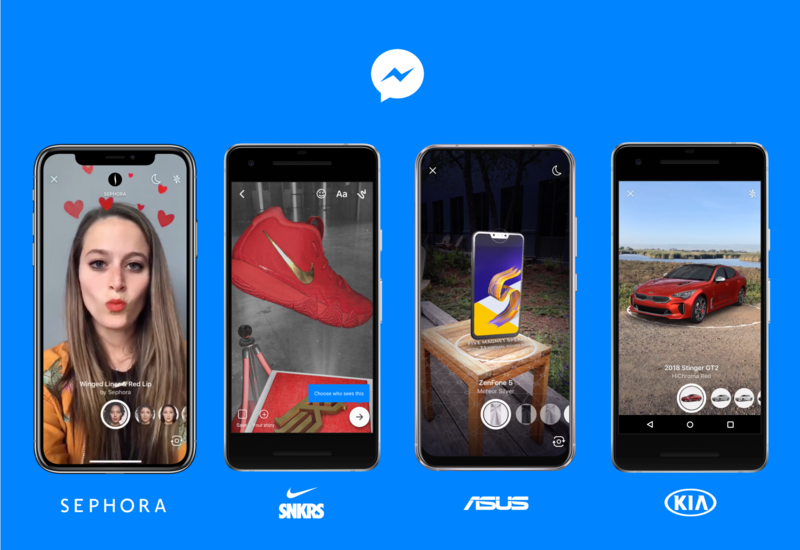 Messenger will get support for integrated augmented reality experiences as well as Marketplace language translation, and Facebook says users can also look forward to a simpler design that does away with the clutter. Facebook opened up Messenger to businesses in 2016, and it has seen tremendous growth since then. Now, it hopes to build on that by providing companies with access to its Camera Effects Platform so that they can integrate new AR features into the Messenger experience. For the first time, businesses will be able to bring their products to life inside Messenger, allowing customers to see what they’ll be like in the real world before making a purchase. Businesses will also be able to offer camera filters and AR effects, which customers can use in the Facebook camera interface. "This feature — launching in closed beta — leverages the nature of messaging to help people get valuable, instant feedback about purchases, customizations, and more, without ever needing to set foot in a store," Facebook explains. At launch, AR effects will be available from ASUS, Nike, Kia, and Sephora. ASUS will use the tools to show customers what it’s like to unbox its products, while Sephora will let you sample virtual makeup to see what suits you best. 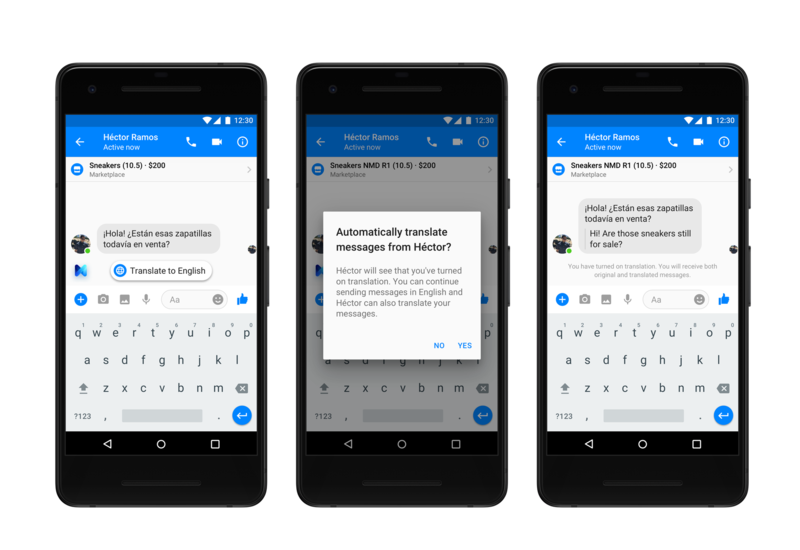 Facebook is also adding language translation to its Marketplace so that buyers and sellers from around the world can communicate more easily. When you get a marketplace message in another language, Facebook's "M" will offer to translate. M was the name of Facebook's experimental virtual assistant that shut down early this year. Maybe it's back as a translation bot? Facebook might also just be using "M" to refer to marketplace features — it's not clear. Translations from English to Spanish (and vice-versa) will be supported for conversations taking place in the U.S. initially, but Facebook promises that support for other languages will roll out gradually. It also plans to bring the feature to other countries later. And at long last, Facebook has also confirmed plans for a big Messenger redesign. It wants to do away with all the clutter and bloat to make messaging fast and simple again. There will be just three tabs for navigating your way around the app, plus dedicated buttons for the camera and video calling. Facebook is also adding a dark mode, which will be particularly nice on OLED screens.